Today I've noticed a post in Sitecore SDN forum regarding how to add a sublayout to multiple items programmatically. Below function AddSublayoutToItem(string itemId, string sublayoutId) takes Sitecore item id and Sublayout id as input parameter and add specific sublayout to Sitecore item. I’ve added inline comments in below code to make it more understandable. 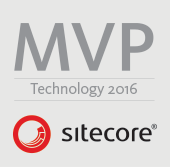 Call this function iteratively for adding sublayout to multiple Sitecore items. Note: This code is tested on Sitecore 7.2 version. Comments and suggestions are most welcome. Happy coding!